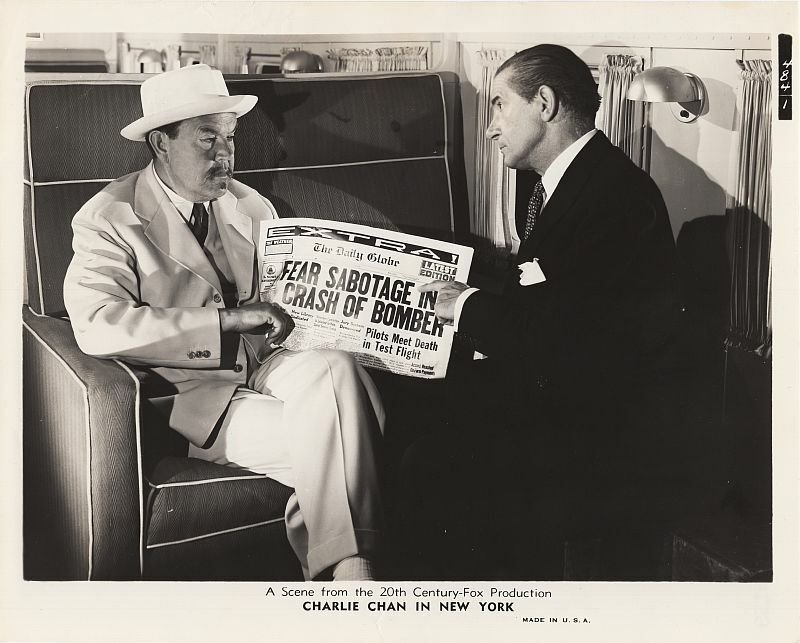 Gallery: "Murder Over New York"
bomber by saboteurs with his old friend, British intelligence agent Hugh Drake. 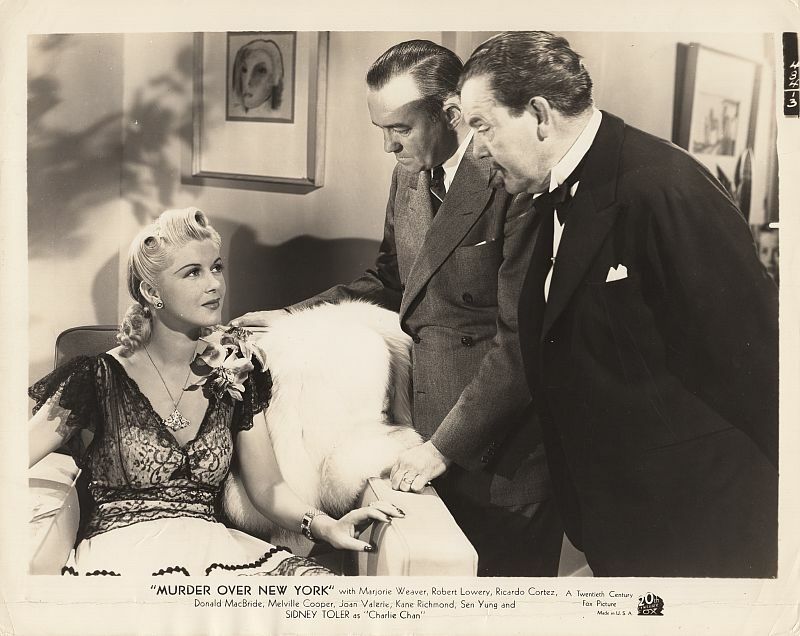 Two Son, Jimmy, there, too, asks his son why he is in New York. 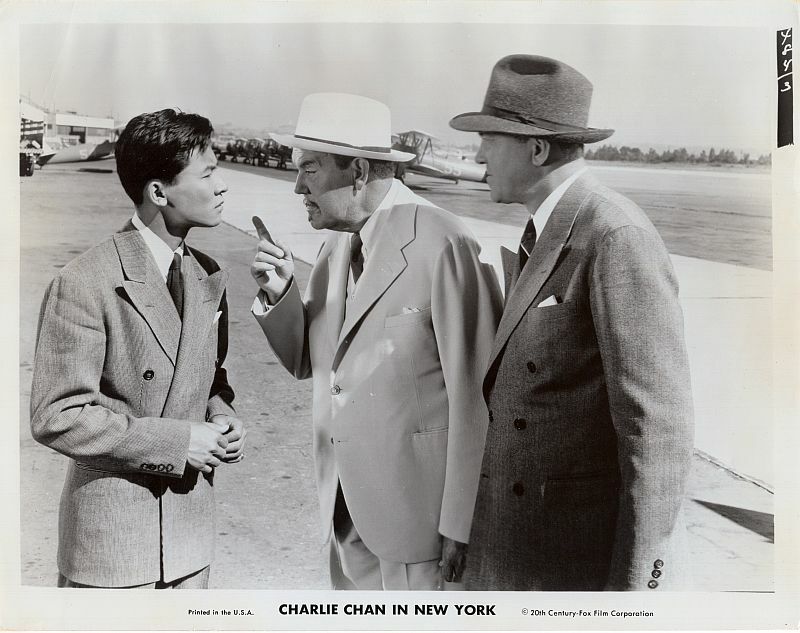 Charlie Chan, accompanied by son, Jimmy and Inspector Vance, questions June Preston. 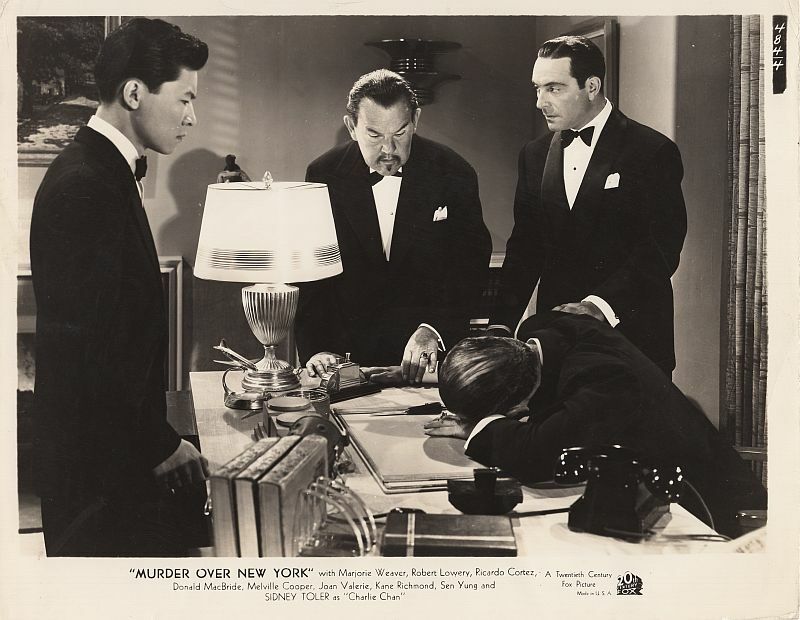 Hugh Drake is found dead in George Kirby's penthouse office. 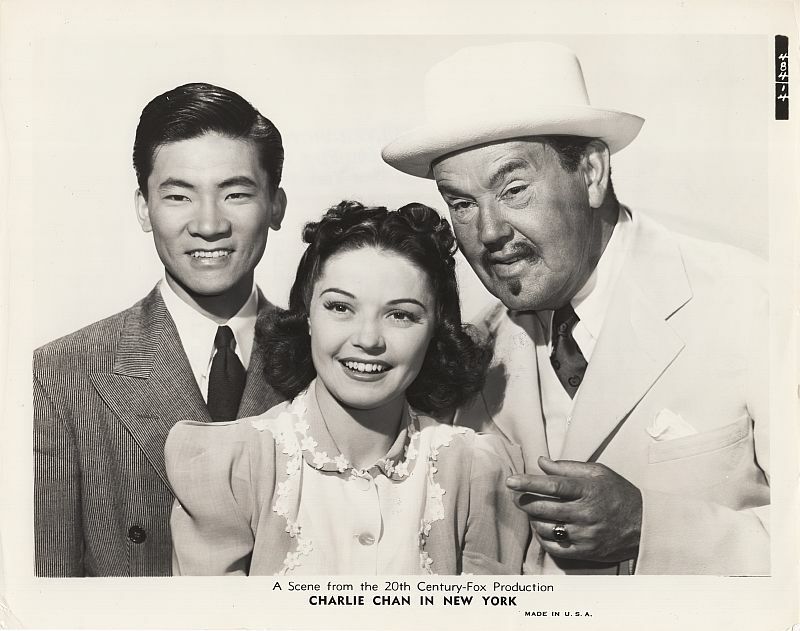 Charlie Chan and Jimmy with Patricia Shaw.